What Did the Pioneers Bring? Was I Too Busy to Serve? Fight, Flee, or Take the Blows? One of the great tributes the Savior can give is to call us “friends.” We know that He loves with a perfect love all of His Heavenly Father’s children. Yet for those who have been faithful in their service with Him, He reserves this special title. 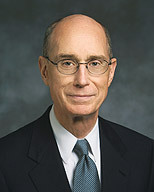 You remember the words from the 84th section of the Doctrine and Covenants: “And again I say unto you, my friends, for from henceforth I shall call you friends, it is expedient that I give unto you this commandment, that ye become even as my friends in days when I was with them, traveling to preach the gospel in my power” (D&C 84:77). We become His friends as we serve others for Him. He is the perfect example of the kind of friend we are to become. He wants only what is best for His Heavenly Father’s children. Their happiness is His happiness. He feels their sorrow as His own because He has paid the price of all their sins, taken upon Himself all their infirmities, borne all their troubles, and felt all their longings. His motives are pure. He seeks no recognition for Himself but to give all glory to His Heavenly Father. The perfect friend, Jesus Christ, is completely selfless in offering happiness to others. Each of us who has made the baptismal covenant has promised to follow His example to bear one another’s burdens as He would (see Mosiah 18:8). In the next few days you will have many opportunities to be a friend for Him. It may be as you walk on a dusty road. It may be as you sit down in a railroad car. It may be as you look for a place to sit in a Church congregation. If you are watching, you will see someone carrying a heavy burden. It may be a burden of sorrow or loneliness or resentment. It may be visible to you only if you have prayed for the Spirit to give you eyes to see into hearts and have promised to lift up the hands that hang down. The answer to your prayer may be the face of an old friend, one you have not seen in years but whose needs suddenly come into your mind and heart and feel as if they are your own. I’ve had that happen to me. Old friends have reached out to me across the miles and the years to offer encouragement when only God could have told them of my burden. Living prophets of God have asked us to be faithful friends to those who come into the Church as converts and to go to the rescue of those who have drifted away. We can do it, and we will do it if we always remember the Savior. When we reach out to give succor and to lift a burden, He reaches with us. He will lead us to those in need. He will bless us to feel what they feel. As we persist in our efforts to serve them, we will more and more be given the gift of feeling His love for them. That will give us courage and strength to reach out again and again in faithfulness. And, in time and in eternity, we will feel the joy of being welcomed to the company of His faithful friends. I pray for that blessing for all of us and for those we will serve. Family members are more likely to participate meaningfully when they are asked to look for something as they search the scriptures and the words of the prophets (see Teaching, No Greater Call , 55). As you read the article, ask family members to identify principles that will help them be worthy to be called the Lord’s friend. Teaching, No Greater Call states: “If you have Christlike love, you will be better prepared to teach the gospel. You will be inspired to help others know the Savior and follow Him” (12). Identify from the article principles that could help you be a better home teacher. Discuss these with your companion, and prayerfully consider how to be “faithful friends” to those you serve. The perfect friend, Jesus Christ, is completely selfless in offering happiness to others. We become His friends as we serve others for Him.